The market for powerful and lightweight gaming laptops is heating up with companies like Alienware and Razer both pushing the envelope further in terms of the kind of raw power that can be squeezed inside a small package. 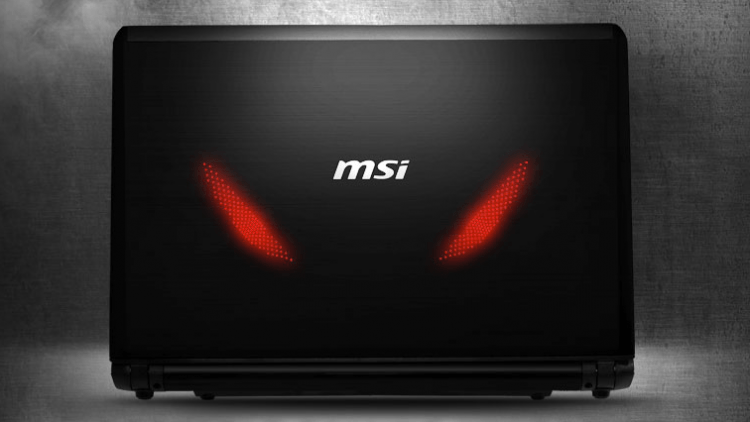 MSI, a company typically known for its hulking devices, is jumping in the mix with the release of its GE40, equipped with specs that actually beat the larger names in the space. The new laptop starts at $1,299 and its base configuration comes with a 2.9GHz Core i7-4702MQ processor, a 2GB NVIDIA GeForce GTX760M GPU, and 8GB of RAM. That is enough horsepower to handle even the most demanding games on the market today on medium to high graphics settings. It also comes with a 750GB 7,200RPM hard drive, and a 14 inch, 1600X900 resolution display. The company is offering a slightly upgraded model for $1,399 that switches out the aforementioned processor for an Intel Core i7-4700MQ, and adds a 128GB SSD to go alongside the 750GB HDD. Despite all this horsepower the GE40 is relatively light for a gaming machine, weighing in at 4.4 pounds, which compares favorably against the 6.1 pounds of Alienware's new 14 inch laptop. Some other notable features include a built-in HD webcam, Sound Blaster audio, a SD card reader, HDMI out, and the ability to output to three displays simultaneously (including the native notebook display). The company is shipping both options for the GE40 now, so interested buyers need not wait to get their hands on one.